Sorry to burst your bubble, but an American man isn’t going to win the Boston Marathon on Monday. Only one American (thank you Meb!) has accomplished the feat in the past 35 years. Galen Rupp — a far better marathoner than any of the Americans entered in Boston this year — has taken two cracks at winning Boston and come up short each time. 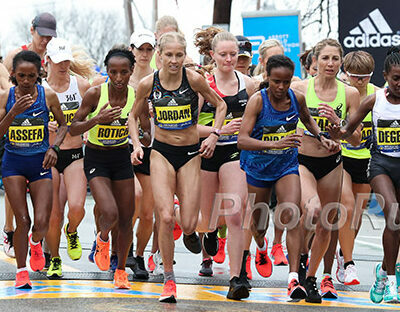 Even last year, when conditions caused almost every East African of note to drop out of the race — conditions where Americans earned seven of the top eight spots on the women’s side, essentially by default — the best a US man could muster was Shadrack Biwott‘s third-place showing. 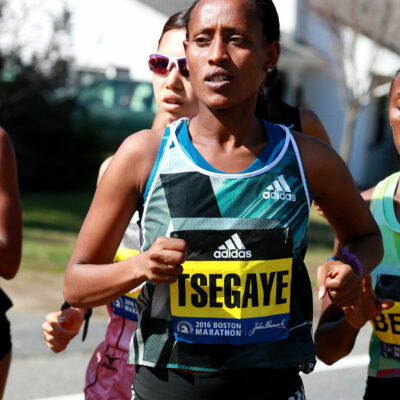 With a field of African stars, led by Lelisa Desisa and Geoffrey Kirui (who have a combined five major wins, three of them in Boston), and no Rupp in the field, the chances of an American man breaking the tape on Boylston Street this year are slim to none. Around these parts, we’ve been known to dole out some (deserved) criticism for the lack of American marathoners under 2:10 in recent years. You may have heard, but since Meb Keflezighi won Boston in 2014, Rupp is the only American to have broken 2:10. Heck, apart from Rupp, no other American even broke 2:12 last year (that was almost true in 2017 as well until Tim Ritchie snuck under with a 2:11:55 in December ’17). But enough of the pessimism. Just because we don’t think an American is going to win the race doesn’t mean that there aren’t any guys capable of running well in Boston. 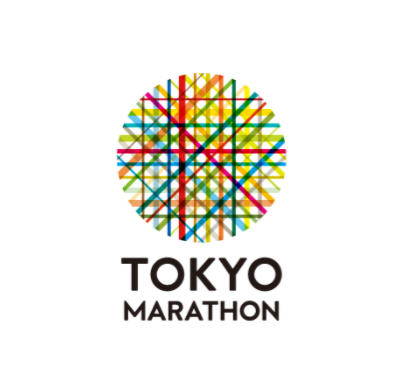 If the biggest marathons in this country were run on courses like Amsterdam or Rotterdam as opposed to Boston and New York, we’d see American men running much faster times. And looking back at recent Boston results, there’s good reason to expect at least one — and perhaps two — Americans will finish in the top five on Monday. That seems audacious, given the army of international talent that will be assembled in Hopkinton. There are five guys entered who have run under 2:05, and another seven who have broken 2:07. None of those men are Americans; the fastest US entrant by PR, Dathan Ritzenhein, is seeded just 15th, and his 2:07 pb dates back to 2012. But we count at least four Americans — Ritzenhein, Biwott, Jared Ward, and Scott Fauble — who should be shooting for top-five finishes. Fauble’s coach at HOKA ONE ONE NAZ Elite, Ben Rosario, says that top-five is the goal for Fauble — and that it’s attainable on a good day. 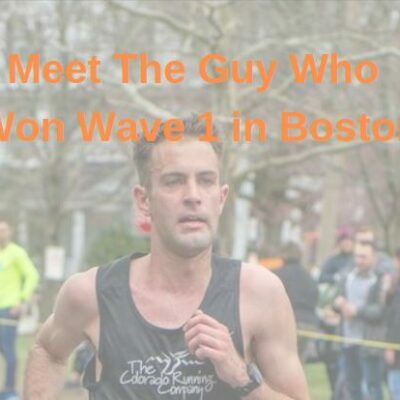 An American has finished in the top five in Boston in eight of the past 10 years (and one of the years it didn’t happen was 2016, when the Olympic Trials were contested just two months prior), with a total of seven guys combining to do it a total of 12 times. Half of those top-fives belong to the trio of Rupp, Keflezighi, and Ryan Hall — three guys significantly better than any of the Americans in this year’s field. But if Biwott and Jason Hartmann can both do it multiple times, we think there’s a good chance that at least one American does it in 2019 (especially since Biwott is one of the guys in the field). As far as what it takes to finish in the top five, it can vary dramatically depending on the conditions. But 2:12:30 has been enough to finish in the top five in five of the past 10 years, and considering the weather forecast for this year’s race is poor, we expect it will be enough again in 2019. 2:12:30 in bad weather on Boston is by no means easy, but Ritz, Ward, Fauble, and Biwott are all capable of doing that on a good day. We expect at least one of them will. But which one? Let’s assess their chances, one by one. Even if you want to disregard his 3rd-place finish last year due to the weather, Biwott still has a very impressive resume. He was fourth in 2017 and has notched top-10 finishes in New York in each of the last three years, with a best of 5th in 2016. He was 9th in New York last November, 24 seconds behind Fauble and 28 seconds behind Ward — a gap that he could easily make up given five months of prep. He’s also had significantly more success in Boston than the rest of the Americans this year combined — he’s finished top-five the last two years; no other American elite in the field has finished in the top five in Boston, ever. Ritz has the fastest PR of the Americans in this field — his 2:07:47 is good for #5 on the all-time US list. But that was almost seven years ago in Chicago; there are a lot of questions about the 2019 version of Ritz. First and foremost: can he make it through a marathon in one piece? He hasn’t finished a marathon since Boston four years ago, dropping out or withdrawing from the three marathons he’s signed up for since that race. He and his coach Kevin Hanson have been doing everything they can to make sure Ritz is healthy and ready to go in Boston this year, but we have to be realistic: Ritz is injury-prone. It’s not like he wasn’t trying to stay healthy last year, but a late SI joint injury derailed his hopes just days before the race. The signs look good right now, but something could still pop up on race day; Ritz carries the highest DNF risk of any of the Americans in this field. That said, he can still run fast, as evidenced by his 61:24 half in New Orleans in February. Four years ago, Ritz ran 2:11:20 for 7th in crappy weather; if he can deliver the same performance on Monday, he’ll have a great shot to finish in the top five. Fauble’s 7th-place finish in New York last fall, in a PR of 2:12:28, was proof that he had arrived as one of America’s top marathoners; when you talk about who is going to earn one of the spots on the 2020 Olympic team, Fauble’s name HAS to come up. But Boston is the focus right now, and everything he’s done in training suggests that it will go even better than New York last fall. That final point is worth expanding on. Rosario said that the big difference between this buildup and Fauble’s previous two (2017 Frankfurt and 2018 New York) is the types of workouts he’s excelled at. That was not the case before New York, where Fauble found more success in the half-marathon-style workouts and had to really muscle through the longer stuff. Case in point: Fauble’s most impressive workout in this buildup, a 16-mile tempo run on March 24, 22 days out from race day. Running at Sunset Crater, a slightly lower elevation (5,500 feet) than Flagstaff proper, the workout was designed to mimic the Boston course (you can view the elevation chart here, along with the rest of Fauble’s workouts). He cranked it out in 1:20:58 — 2:12 marathon pace. But it’s more impressive when you factor in that a) this came at 5,500 feet and; b) some of the miles were really uphill (he ran mile 11 in 6:08). Compare it to what Fauble’s teammate Scott Smith ran for the same session last year (Smith had just run 2:12 the previous fall and would go on to finish 6th in Boston), and it’s not even close. A good buildup doesn’t guarantee a good marathon, but it certainly helps. 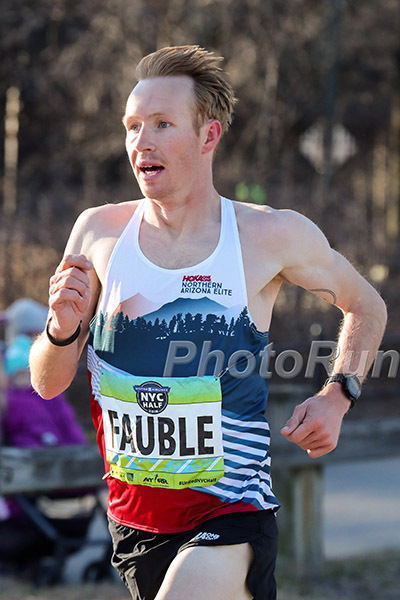 Fauble is heading into Boston in the best shape of his marathon life thus far, with the knowledge that he can mix it up with any American in the field. That’s a good place to be. That performance alone was enough reason to get excited about Ward, who, until that point, had struggled to recapture his brilliant 2016 form, which saw him take 3rd at the Olympic Trials and 6th in Rio. But add in what he’s done since then and the hype machine should be in full effect. That is saying something, because even in the leadups to his best races, Ward has usually had to battle some sort of injury. Ahead of the Olympics in 2016, he had to fight through what turned out to be a stress reaction in his pubic bone, an injury that held him back in 2017, when he was just 10th in Boston and 12th in New York. Last fall, it was his hamstring. But this year, he’s been knocking out 100+ mile weeks since January with no setbacks. The prospect of Jared Ward finally at 100% is scary to contemplate. His prep races have also gone well. He was second at the Road to Gold 8-mile race on March 2 that served as a preview of next year’s Olympic Marathon Trials course. More recently, he ran 62:33 for 4th at the NYC Half on March 17 — a really solid effort that made him the second American finisher, just 14 seconds behind Paul Chelimo. Ward is ready to roll in Boston. Eyestone says that, should the weather cooperate, Ward isn’t just focused on placing highly but lowering his PR to one more commensurate with someone who has placed 6th at the Olympics. For Eyestone, that means 2:10 or faster. But even if the weather is truly awful, Eyestone believes Ward will be fine, pointing out that the surprising runner-up in last year’s women’s race, Sarah Sellers, is a Utah native, just like Ward. Tim Ritchie, 31 years old (2:11:55 pb): Ritchie is currently attempting to balance two lives: one as the head distance coach at the University of Massachusetts, and the other as a professional runner for Saucony’s Freedom Track Club. Training for the Boston Marathon while spending half your weekends traveling to meets and standing around holding stopwatches is tough, but that is Ritchie’s life right now. If that doesn’t sound like ideal Boston Marathon prep, well, it’s not. But Ritchie is a low-mileage guy anyway (he ran his 2:11 PR off 85 miles per week), so averaging 70-75 miles per week in his buildup — as he has for Boston — may not hurt him quite as much as the next guy. Ritchie admits that his lifestyle is not sustainable long-term, but when the UMass job opened up last year, it was too good for the Worcester, Mass., native to pass on. He said that his athletic future will largely be determined by how the next 10 months go — he fully intends on competing through at least the 2020 Olympic Trials. “For the foreseeable future, I’m gonna keep working as hard as I can to be a great coach and a great athlete,” Ritchie says. Abdi Abdirahman, 42 years old (2:08:56 pb): How many more marathons does Abdi have in those 42-year-old legs? 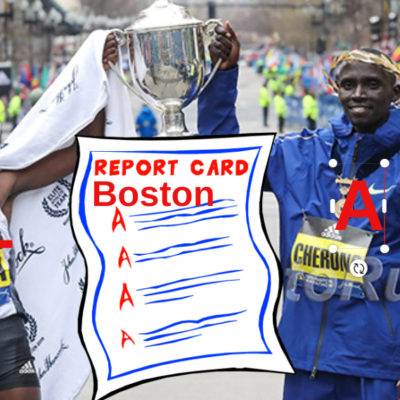 After putting together a nice stretch of marathons (3rd 2016 NYC, 6th 2017 Boston, 7th 2017 NYC), Abdi was 15th in Boston last year before dropping out in New York. He could only manage 63:12 for 12th at the NYC Half in March (though that’s actually better than before his 6th in Boston in 2017, when he ran 63:22 for 15th at the NYC Half). You can’t count out the four-time Olympian, but it’s tough to trust a 42-year-old coming off two rough marathons. 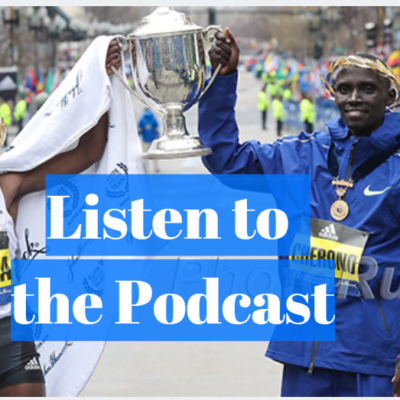 Elkanah Kibet, 35 years old (2:11:31 pb): Kibet ran 2:11:31 in his debut back at 2015 Chicago, but almost four years later, that remains the peak of his marathon career. He was a solid 8th in Boston last year and finished 13th in Chicago in the fall, running 2:12:35. He was only four seconds behind Fauble at the Gasparilla Half in February; if he can repeat that on Monday, he should be very happy. Brian Shrader, 27 years old (2:13:31 pb): Ran 2:13:31 in his debut at CIM in December. Jeff Eggleston, 34 years old (2:10:52 pb): 8th in 2014 but he hasn’t broken 2:14 since July ’14. Who will be the top American at the 2019 Boston Marathon?